The most important element of a great community aquarium, besides well-conditioned water, is the lighting system. Bright lighting systems are the key to see all the activity that goes on in an aquarium and take advantage of all the benefits of live growing healthy aquarium plants. Without adequate lighting, the aquarium plants won’t grow and your fish won’t be at peak health. As well, bad lighting will not bring out the colors of the fish to their fullest. Aquarium lighting is an important but often overlooked and sometimes confusing aspect when keeping an aquarium, especially for a beginning aquarist. This confusion is caused mainly by the many available types of aquarium lighting. The type of aquarium light needed for any size of fish tank depends on your plans for keeping fish, plants, and what the final look will be. Learn about the factors to consider before you shop for the best deals for aquarium lighting systems. Each type of aquarium specimen will need different light requirements to thrive. Therefore, aquarium owners should research the requirements of the specific subspecies they will add to their aquariums before choosing aquarium lighting. This helps to make sure that the lights will produce the correct amount and type of light the subspecies need. 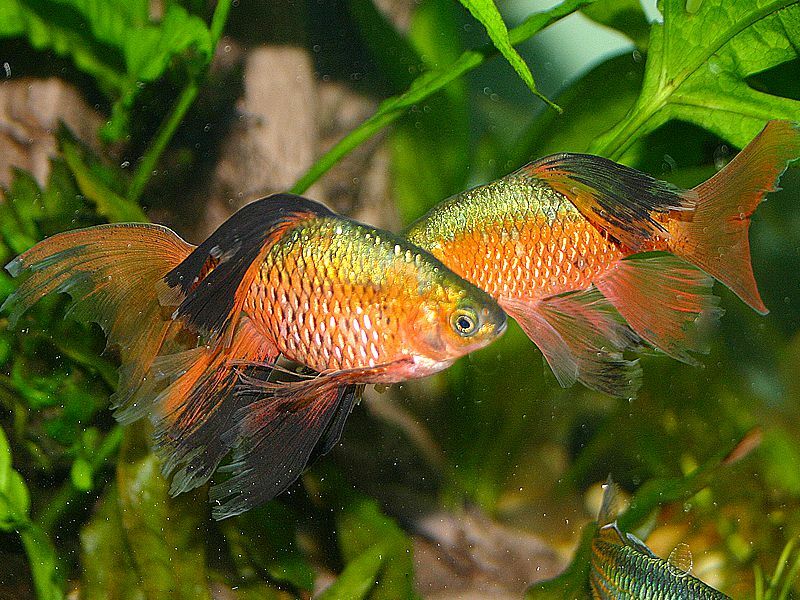 Most common community aquarium fish come from rivers, streams, or clear lakes. These fish are used to the bright sunlight and warming rays of rainforest weather. With bright light, however, there must be places to hide for fish that like to recede from the light. Live plants and rock outcroppings help simulate nature for fish in this category. ﻿Other fish in a community aquarium may be naturally from the bottom of murky floodplains and enjoy a dimmer environment. Once you decide which species you'd like to house, you can better determine their lighting needs. Fish are not as reliant on light as plants. In general, aquarium owners can use incandescent, fluorescent, or LED lights for fish but should be aware of the heat issues that incandescent lights cause. Incandescent lights will heat up water disproportionately, causing the water closest to the lights to be significantly warmer than water in other areas of the aquarium. Fluctuations in water temperatures can be harmful to some types of fish or might cause fish to swim exclusively in cooler areas of an aquarium. LED lights produce virtually no heat and come in many colors. Plants rely on light to live and remain healthy, but the amount of light needed depends on the type of plant. Tropical plant species are notable for the high level of light they need for proper photosynthesis. This is particularly true if the plants grow close to the surface of the water when they are in their native habitat. Before purchasing these types of plants, buyers should research how intense light setups might affect other species in an aquarium. Plants with the color red in the leaves or stems require very high levels of light. If other species in the aquarium only need a moderate level of light, buyers will need to determine which species are more preferential than others and choose their aquarium species of plants and fish accordingly, for best results. The species that inhabit aquariums will be impacted in varying degrees by a constant level of light. To mimic the light available in a species' habitat, aquarium owners can use day and night lighting to approximate the light levels in a natural environment. These night lights, or moon lights, as they are called, give the fish keeper the opportunity to observe nocturnal behavior. Tropical fish and plants available for aquariums are from equatorial areas and typically receive around 12 hours a day of light throughout the year. This makes it unnecessary for hobbyists to make adjustments on complicated timers for the seasons. For these common community aquarium fish, a simple timer will keep the lights on and off the same time every day. Aquarium specimens that hail from more northern or southern areas will need more or less light depending on the time of year, so fish keepers should take seasons into consideration when switching from day to night lighting. 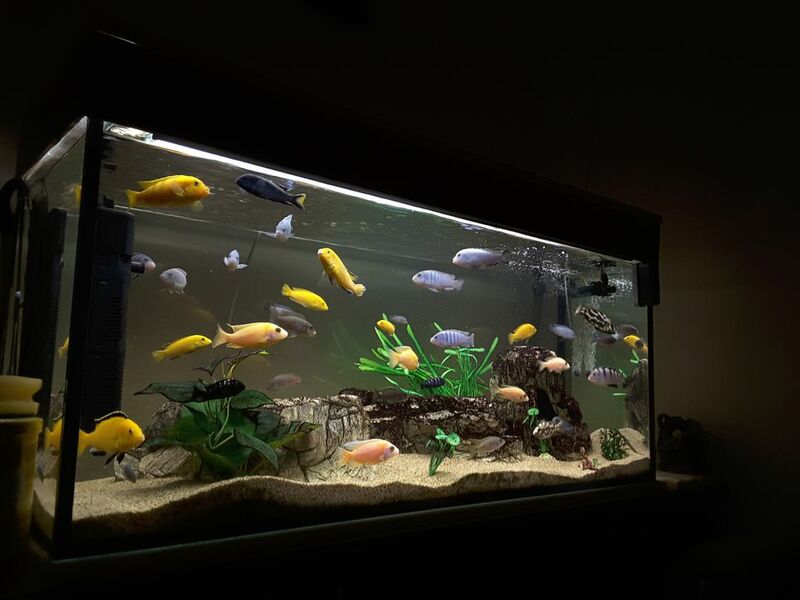 Also if the lights are to be on in the evening for viewing pleasure of the family, the tank should not be put near direct sunlight, but allowed to be in the dark for approximately 12 hours a day or more. Freshwater hobbyists often worry about adding bright light to their aquarium and think it will cause an excessive algae outbreak. Algae are a natural part of the aquarium. Excessive algae growth is not caused by bright light alone, it is caused by excessive nutrients in the aquarium water. Algae growth will often be excessive at the beginning of a new aquarium until the tank cycles. Once live plants have established themselves, they will start competing with the algae for nutrients. It is always best to start off with fast-growing plants or add fast-growing plants when the aquarium has an algae problem. In some cases, the nutrients the algae may be thriving on may actually be coming from your tap water. The addition of a small ultraviolet sterilizer to the filtration system will eliminate any persistent green water, but thriving live plants will do the trick just the same. ﻿Once the bright light system is well established with plants the algae should no longer be a problem. Many freshwater hobbyists with brightly lit planted tanks will confess that they rarely have to clean algae off the tank walls. When the nutrient level is low, there is very little if any algae growth. This is a problem for growing healthy plants, the addition of aquatic plant fertilizers may be necessary to keep your plants growing well. Bright light also helps enrich the color of the fish. Bright light helps darken the pigments of many fish, making them stand out. And for the discus hobbyist; don't buy into the myth that discus doesn't like brightly lit tanks. They may need a few days to acclimate to the brighter light, but in time they will settle down, their colors will start to become even brighter, they will grow quicker, they will spawn, and their water quality will improve. Lighting is a major part of having a beautiful community aquarium. The right lighting is very beneficial to aquatic plant life and therefore, to the fish and aquatic creatures in the aquarium as well.